From 1990 to 2015, the impact of disability caused by back pain increased by 50% worldwide, mainly due to the increase in population and the advancement of the average age. The costs of this disorder must be calculated both in direct terms for the health systems and indirect for the loss of work productivity, and are equal to the costs of other known health problems such as cardiovascular diseases, tumors, mental disorders and autoimmune diseases. In general, people with back pain can experience important functional limitations in everyday life. Those latter can be alleviated by means of correctly chosen therapy which incorporates painkillers like Diclofenac. By back pain we mean first of all a problem of pain in the lumbar part of the back with or without irradiation in the lower limbs. About half of adult people experience this pain at least once in their life. Back pain mainly affects people after age 40 and more women. A real cause of low back pain is found only in very few people with back pain; an example may be the presence of a fracture to a vertebra. In the great majority of cases it is not possible to identify any specific cause and the pain is defined as nonspecific. In fact, several studies have shown that alterations of the spine as a herniated disc can also be present in people who have no lower back pain. A herniated disc can instead be considered as a cause of pain if it occurs together with a persistent pain in the lower limbs. Several studies show that most people with a spontaneously improved back pain episode but about 2/3 of people continue to have residual pain after 3 and 12 months. About half of people with back pain have a slight pain that is continuous or fluctuating over time. The research has clearly shown that those who have already had an episode of back pain are at greater risk of having another in the future. Lifestyle aspects such as smoking, obesity and a low level of physical activity are associated with a greater risk of developing a more precarious general health condition and, consequently, also the presence of back pain. International guidelines for back pain handling suggest for acute back pain to remain active in everyday life and stress the importance of adequate reassurance of patients on this health problem, on its nonspecific nature and on the likely positive prognosis. For chronic back pain, in addition to the advice to remain active, therapeutic exercise and cognitive-behavioral therapy are also recommended as first therapeutic options. 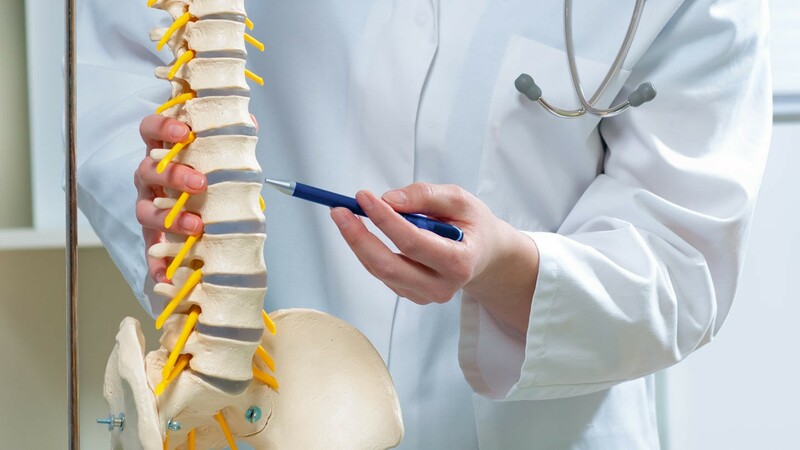 Secondary options are passive treatments such as vertebral manipulation and massage, pharmacological therapies based on non-steroidal anti-inflammatory drugs, and integrated therapies such as multidisciplinary rehabilitation in which the person is followed by more than one professional healthcare. As a second therapeutic option, passive treatments are suggested, such as vertebral manipulations, massage and acupuncture, or non-steroidal anti-inflammatory drugs (aspirin). Paracetamol and other types of pain medication such as opiates (codeine, morphine) are not recommended. Diclofenac is a non-steroidal anti-inflammatory drug (NSAID), used in the treatment of inflammatory and painful states of various kinds. Diclofenac is available in many pharmaceutical formulations, suitable for different routes of administration (oral, parenteral, ocular, rectal and cutaneous). From a chemical point of view, diclofenac belongs to the category of acetic acid derivatives. Surgery is absolutely not recommended for non-specific back pain, but is instead recommended as a second option in the case of lumbar pain with limb irradiation in which clear disorders of the spine as a herniated disc are detected. Diclofenac exerts its anti-inflammatory and analgesic action through the inhibition of cyclooxygenase (or COX). Cyclooxygenase is an enzyme known for three different isoforms: COX-1, COX-2 and COX-3. COX-1 is a constitutive isoform, normally present in cells and involved in the mechanisms of cell homeostasis. COX-2, on the other hand, is an inducible isoform that is produced by inflammatory cells (inflammatory cytokines) activated. The task of these enzymes is to convert arachidonic acid into prostaglandins, prostacyclins and thromboxanes. Prostaglandins – in particular, prostaglandins G2 and H2 – are involved in inflammatory processes and mediate pain responses. Therefore, with the inhibition of cyclooxygenase 2, diclofenac hinders the production of prostaglandins responsible for pain and inflammation. However, it should be noted that diclofenac is not a selective COX-2 inhibitor, therefore, it is also able to inhibit COX-1. This latter inhibition is responsible for some of the typical side effects of all non-selective NSAIDs. When we speak of acute back pain we think of a sudden and unexpected pain, during work, in the middle of the night, on a holiday far from home and, often, in the impossibility of resorting to medical or family care. A solution to acute pain comes today from the availability of a new formulation of diclofenac that can easily be injected by itself. The new formulation is aimed at the needs of patients who want a rapid response to acute pain, effective and with a prompt and personalized recruitment method: the availability, for the first time, of low doses of 25 and 50 mg, in addition to the classic 75 mg, allows the lowest effective dose of NSAID to be used, following the recommendation issued by the European Medicines Agency. Non-steroidal anti-inflammatory drugs (NSAIDs), of which diclofenac belongs, are drugs widely used in clinical practice. Diclofenac, due to its wide use, is available in many different formulations: tablets, gels, medicated patches, ampoules for intramusculosis and, today, even in pre-filled syringe with a needle for subcutis, to be similar to that used for vaccinate children, therefore less painful than the traditional one. The new therapeutic option offers numerous advantages such as ease of administration, rapidity of action and allows the analgesic efficacy to remain unaltered even in the presence of a reduction in the dosage of the active ingredient, the latter being crucial in light of the recent prescriptive limitations allowing its use in complete safety. Acute pains represent the response to injuries sustained by the body due to acute traumas or acute illnesses that immediately arose. The most frequent causes of pain are osteoarticular diseases, muscular pains, arthritis, arthritis, disc herniation, sciatica, back pain, traumatic injuries, but also the recrudescence of a rheumatoid arthritis or other rheumatic diseases, which together constitute the main reason for consulting the doctor. However, there are some difficulties in daily practice that must be taken into account. The need to have a rapid response to pain leads to the use of intramuscular injection which is considered to be much more effective than the oral route. The possibility of administering a subcutaneous drug already prepared in a pre-filled syringe solves this problem. So far, they could treat acute pain with a tablet or intramuscular administration, formulations that have several disadvantages: the tablet has a less rapid action and a possible contact gastrolysis, while the injection formulation presents possible adverse events with tissue and nerve damage. The novelty of the new formulation of diclofenac subcutis is also in the dosages of 25 and 50 mg (hitherto non-existent) which are added to 75 mg. Studies show that the analgesic response at the two dosages of 50 and 75 mg is similar, suggesting that the 50 mg dosage is often sufficient. This new formulation is made possible thanks to the association of diclofenac with beta-cyclodextrins, which increase the water solubility and bioavailability of the compound associated with them: in this way the volume of the solution for injection has been reduced, from 3 ml to 1 ml, and thus allowing subcutaneous administration. In the orthopedic field, the presence of pain is a reality, and it is a duty of the orthopedic specialist to treat it. For a correct management of pain of an orthopedic nature, it is first necessary to distinguish the different types of pain existing and to associate them with a correct choice of the drug and the omministrazione. This choice is based on factors concerning the characteristics of the symptomatology and on factors that affect age and comorbidity, considering any side effects. Commonly non-steroidal anti-inflammatory drugs are administered, but they have a series of adverse effects, greater in elderly subjects who are often subjected to polytherapies with frequent drug interactions. For these reasons it is advisable to have available a drug that allows a quick relief of pain, with a route of administration usable by everyone, such as intradermal and the possibility of using the minimum effective dosage both for the treatment of acute pain and in the early stages of chronicity. Anti-inflammatory drugs (NSAIDs) are still today an important therapeutic tool in rheumatology both for chronic pain and for acute pain. They are used for two conditions: treatment of chronic diseases and control of stages of inflammatory and non-inflammatory diseases In addition to rheumatoid arthritis, psoriatic arthritis and ankylosing spondylitis, induced arthritis should be mentioned, such as gout, chondrocalcinosis and hydroxyapatite disease. The intramuscular diclofenac has always been a useful weapon for the treatment of acute and intense rheumatological pain, having provided a product that gives flexibility in the choice of the dose (25, 50 and 75 mg) and that can be also administered subcutaneously makes the use of diclofenac for acute rheumatological pain even more current. In addition, diclofenac can be used for the symptomatic treatment of primary dysmenorrhea (oral administration) and for the treatment of inflammation (on a non-infectious basis) of the anterior segment of the eye, particularly after cataract surgery (ocular administration).